'Ghulam Ishaq Khan Institute of Engineering Sciences and Technology' is one of the most respected institute of engineering in Pakistan. On 16th February, 2014, i represented Khwarizmi Science Society (KSS) in the Science Fair which had attracted students from all over Pakistan. 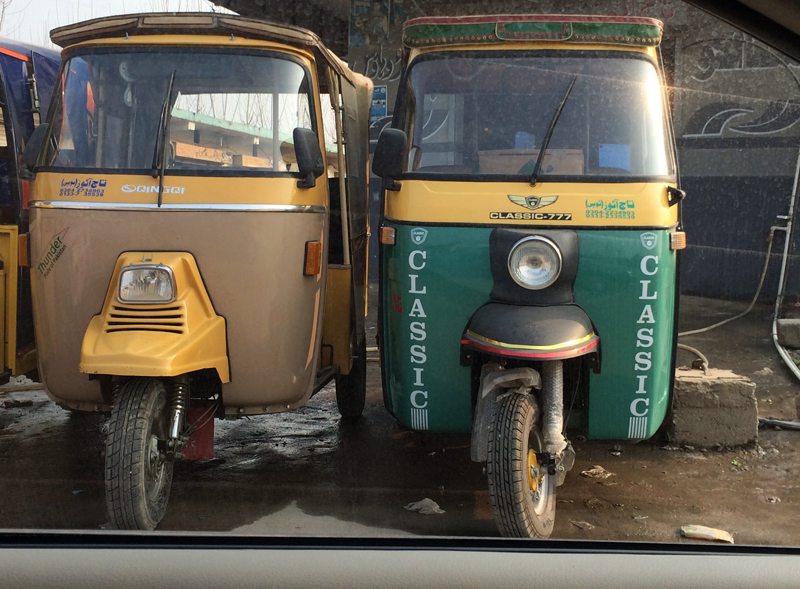 For me, it was a 500 km of travel so i started a day earlier and slept a night in Islamabad. My presentation and hydrogen alpha observation, according to the invitation letter i received, was supposed to be from 10:00am to 12:00pm. I reached at the GIKI gate half an hour earlier. But when i asked a person at Science Fair desk to show me the program, there was nothing about my event. Ok.. so i had packed up my telescope and mount with all the other gear.. travelled 500 km from my home a day earlier.. now standing here at this Science Fair desk and my presentation is nowhere to be found!.. this did not look good. KSS people contacted the Science Fair folks and after waiting for 30 minutes i was told that they have allocated a slot for me from 11:30am to 01:30pm.. now i just had to wait for another hour.. perfect. In 2010, i also came here with Celestron C14 telescope, it was such a pleasant experience then. 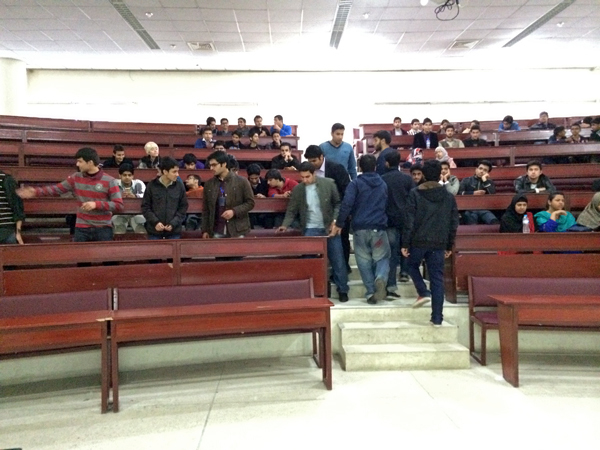 Folks then at Science Society were much more welcoming and very well organized.. missed them all dearly, this year. 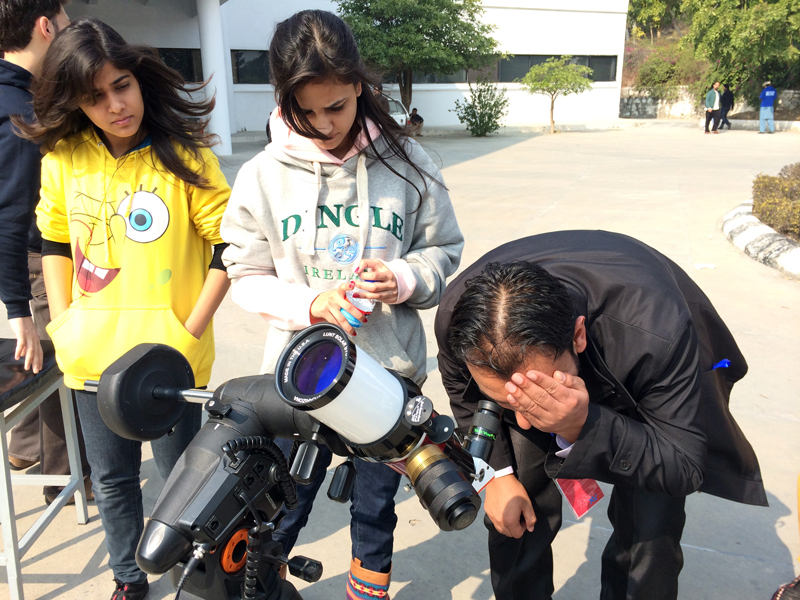 Anyways, i waited because there were about 300 students from all over Pakistan and i really wanted them to experience hydrogen alpha views from the sun. 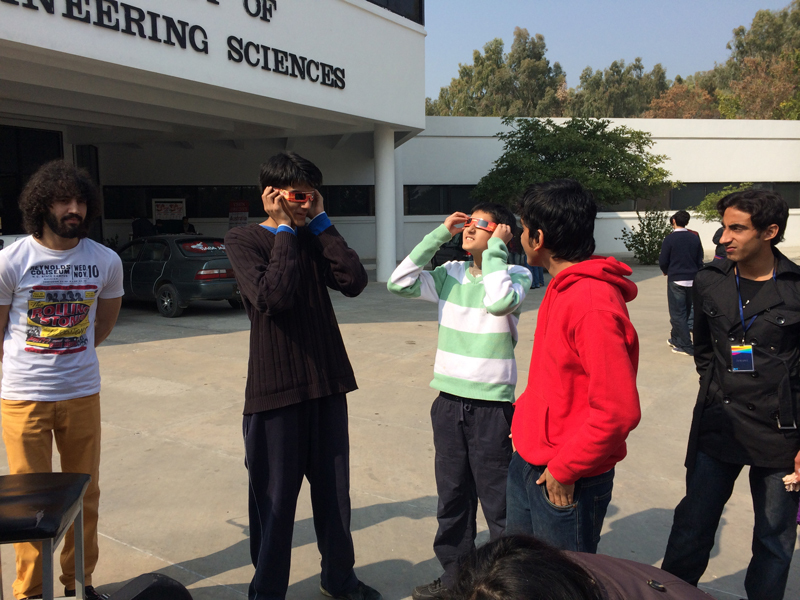 It was a good solar observing session.. I handed over 100 solar glasses, which were so kindly donated to me by Stephen Ramsden of 'Charlie Bates Solar Astronomy Project'. This way these solar glasses were distributed to many corners in Pakistan and that.. just made me happy. I also saw many police officers' photos on the electricity poles (the picture is in front of a Police Station).. they were Shaheeds (martyrs) of Swabi, died in terrorists attacks.. sad indeed.